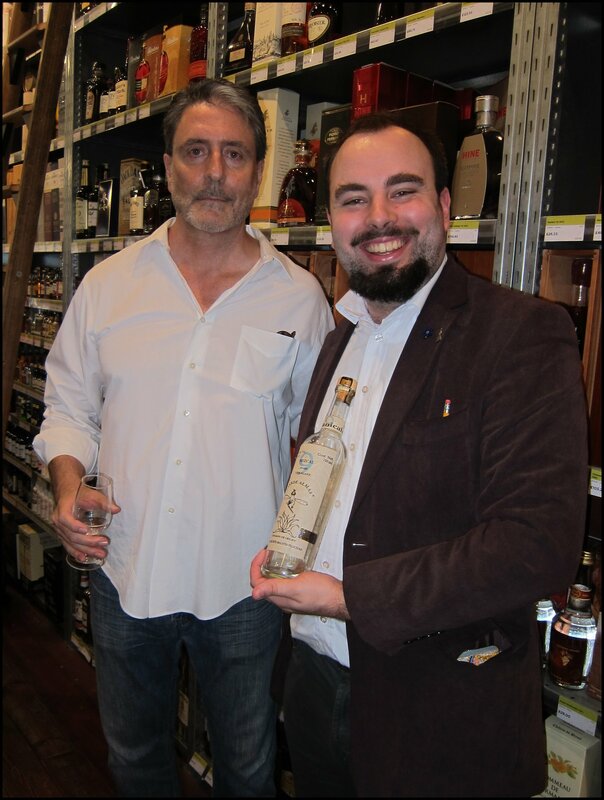 Yesterday I had the great pleasure to hear Jonathan Barbieri from Pierde Almas Mezcal discuss the finer points of his Mezcal range at an excellent tutored tasting at Amathus, Soho. Whilst the Mezcals were fascinating and delicious it was the last product of the day that caught my attention. Pierde Almas +9 Botanical Mezcal (Gin) has caused some discussion between myself and my good friend of http://www.theGinIsIn.com (America’s Gin Reviewer) as to whether a product that doesn’t call itself gin be a gin, does the inclusion of juniper in any botanical spirit automatically make it gin? The question was resolved when I asked the distiller himself, who answered that it was a gin but that US regulation state that a product can only be classified in one drinks category thus a spirit cannot be a gin-mezcal or mezcal-gin. The Pierde Almas Gin uses a double distillation of Espadin as a base, nine classic botanicals are then steeped in the spirit for 24 hours before distillation. Some botanicals are also suspended above the spirit in a mesh bag; “like a big tea-bag, but made from a hair net” in the top of the still (gin head) forming a rudimentary version of vapour infusion. The gin is bottled at 45.0% ABV and uses a slow distillation that results in a daily production of around 20 litres. nose: smoke and citrus, with some savoury elements reminiscent of roasted peppers. As it opens up piney juniper and fennel come forward as well as a little sweet jammy citrus. taste: A very smooth spirits, characteristic of the Pierde Almas Mezcals, the flavours of the Espadin comes through to start with a hint of vanilla. There is then unmistakable juniper in the middle; rich piney with a hint of resin. This is followed by some sweeter notes from the herbs such as the anise and fennel and there is a long dry finish with a little angelica, fennel and the residual character of the spirit base. It would be all to easy for the mezcal flavours to take over but, for me, there is a sense of harmony between the base and the botanicals. A very unusual gin and tonic very smoky but with bright and fresh botanical flavours. The choice of tonic would be important here and for best results I think perhaps embracing the herbal nature of something like Fevertree Mediterranean or 1724 would be worthwhile. In addition I think the extra attention given when mixing a fine Gin Tonica with the aroma and flavours that goes with that serve and its thoughtful garnishes would be worth the extra effort. This is not a typical Gin & Tonic and may not appeal to the ardent traditionalist, however I think it is smashing. 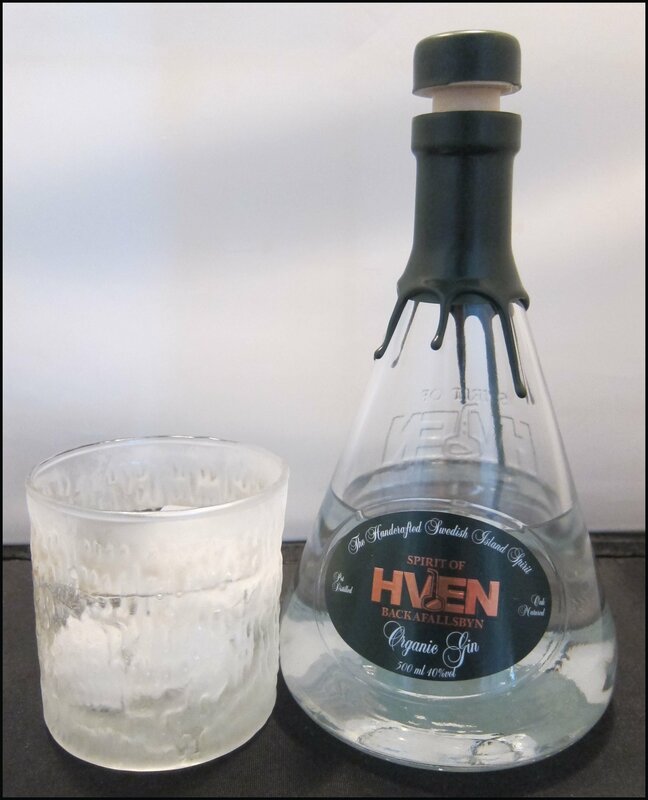 Delightful the chilled down gin is softened and allows some of the more delicate sweet spice notes to come through such a creamy vanilla, which works well with the dry vermouth. There is a little saltiness and a touch of smoke. This is a drink that will appeal to traditionalists and newbies alike. Fantastic nose smoky agave and wider mezcal notes mixed with juniper, fennel and anise. A rich and smooth Negroni will a charming interplay between the smoky mezcal notes and the bitterness of the Campari. However, the gin notes of the drink are not simply defined by the gin’s base and there is certainly plenty of the juicy citrus along with angelica and the botanicals noted on the nose. I’ve never had anything like it, simply delightful and a new favourite. Having picked the low-hanging fruit in the World of Gin, things have been a bit quieter recently in my quest to taste a gin distilled in every country in the world. However, today, I can finally tick off one of the countries at the top of my list – India. 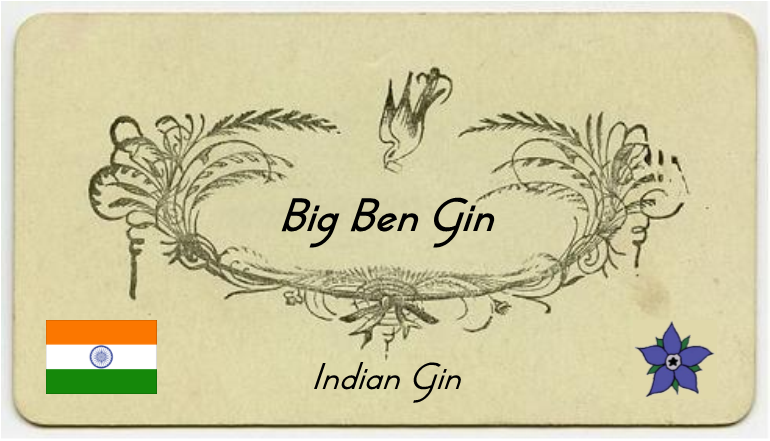 Big Ben Deluxe “London Dry Gin” is made by Mohan Meakin Limited, a company that was founded in 1855 and which also owns the Solan Brewery. The gin is “blended with triple distilled alcohol” and bottled at 42.8% ABV. One website refers to it as being “(An) Ideal drink for ladies”. Nose: juniper, pine quite oily as well as a bit of citrus and bark quite subdued. Taste: juniper certainly with quite a lot of pine which builds and mixes with lemon and a little vanilla quite a lot of warmth at the end, slightly harsh but overall not bad. A very traditional style reminiscent of some of the old vintage gins I have tried from the 1970s. One for the traditionalists. Leaves a piney tingle on your tongue. Pretty average, with a little sweetness in the middle. The finish, however, is very long and dry. This gin actually works much better with a tonic syrup and soda water (as opposed to a premixed tonic water) and I recommend using a lime garnish or maybe even adding a dash of orange bitters. Quite a light Martini, with plenty of lemon and some lavender. Far more complex and floral than I would have expected, given how it tasted on its own, and really rather good. A pretty standard Negroni, but one that ticks the basic boxes and has a good, strong, bitter finish with notes of piney juniper. This gin highlights all of the different aspects of this drink, whilst still playing an equal part alongside the vermouth and Campari. It was very exciting to finally try a gin from India and this very classic, slightly subdued version is exactly what I would expect. The gin isn’t made with an Indian palate in mind or inspired by their cuisine it is styled around the expectation of a classic London Dry Gin. Reasonably priced and equally mixable. Craft Gin is booming; since my return from Colorado, I have discovered three new craft distilleries! Today’s is one such distiller. Dà Mhìle (pronounced da-vee-lay) is based in Ceredigion in West Wales. Fans of Scotch whisky may recognise the name as that of an organic blended Scotch whisky, which the company has been selling for some time, but, now, they have their own distillery in which to make their products: both a whisky and an organic gin, which is what I’m looking at today. Dà Mhìle Farmhouse Botanical Gin is bottled at 42% ABV and uses 100% organic ingredients. It is made using a mix of 20 botanicals, from familiar favourites juniper and coriander to five botanicals grown on their farm: elderflower, red and white clover, gorse and chamomile. Nose: Green juniper, followed by a burst of herbal spice notes, including cardamom and sage. Then some coriander and, finally, fennel. Very spicy and leafy, with some menthol elements, too. Nutmeg, cinnamon and cardamom stand out, as well as a hint of cedar. Some fruitiness accompanies the spice, making this exceptionally easy to drink. Very good, indeed. Notes of coriander and ginger make this cocktail warming, intense and spicy, with a long finish. This really highlights the potential of the gin in savoury cocktails; something different and rather delicious. The finish lingers for a good while, which leaves you wanting another as soon as your glass is empty. Simply lovely; lots of spice: ginger, cinnamon, and cardamom, with a gingerbread sweetness, followed by a good bitterness. Complex and tasty. This drink really brings out some different notes of the gin with the citrus/coriander dialled back a bit and the all-spice/pimento notes coming to the fore. some of these herbal notes remind me of The Botanist; which shares quite a few botanicals with Dà Mhìle. It is important for a Collins to be refreshing and this certainly is. The citrus and herbal notes of the gin work well with the red vermouth making this a flavoursome drink which is very raising to the appetite. 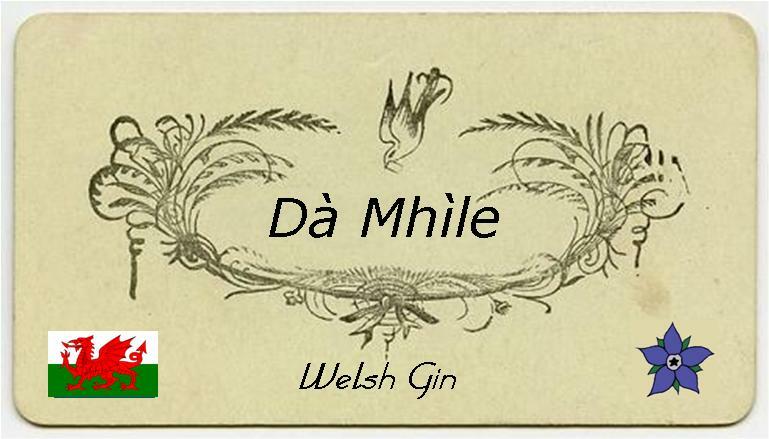 I’m quite fond of Dà Mhìle and it’s bold flavours and that is aside from the fact that the whole gin is distilled in Wales and it is Organic (to the EU standard,which is more stringent than the USA standard). Before Dà Mhìle the only UK 100% organic gin was Juniper Green Gin which is nice enough but, unlike Dà Mhìle, lacks a certain wow factor. Martini and Gin Collins were my cocktail highlights. 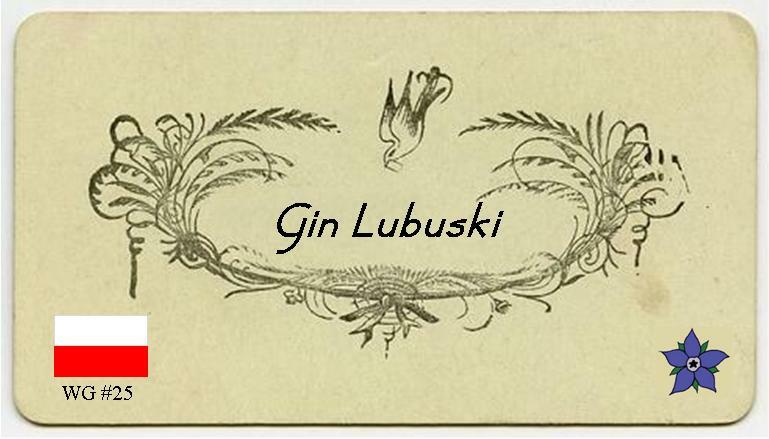 I got a chance to try Gin Lubuski last year, but, as there was only a little left in the bottle, I only got a sip. Last week, however, someone very kindly sent me some more, enabling me to write a full review. Lubuski also make a lime-flavoured gin and a premixed Gin & Tonic that’s sold in an aluminium bottle. Nose: Juniper, floral notes (rose), coriander, and marmalade-like citrus. Taste: Black pepper spiciness, floral juniper, which was quite dry and accompanied by floral notes of coriander, violet, lavender and rose. The finish was dry and peppery and of a long-medium length. This made a very juniper-heavy Gin & Tonic, with a good levels of spicy, citrus and slightly soapy coriander and citrus peel. It was very refreshing and relatively traditional, although there were some rarer herbal and floral notes, too. Very tasty. Herbaceous, with some bitter notes and hints of sage and fennel. This was followed by a characteristic juniper dryness, but it had good balance and levels of complexity, with notes of spicy coriander and floral honey. Overall, very good and pretty classic, although I would say that it was, arguably, herbal enough to sit in the “Eastern European style”. This made quite a sweet Negroni to start, followed by a pronounced bitterness; unfortunately, I’d say that the balance is a bit off. The drink is quite juicy and easy to drink, but doesn’t have that classic bitter/sweet mix. As I’m aware that gin can be consumed differently in different countries, I decided to take a few of the recipes for my review from Gin Lubuski’s website. Definitely an interesting combination; this almost tasted non-alcoholic. The herbal and floral elements of the gin mixed well with the cola (I used CocaCola Classic) to create a taste similar to a more old-fashioned or curiosity style of cola. There was a hint of dry, bitter juniper at the end, making this actually rather tasty. The gin added a great herbal note to this drink, making the flavour of the juice much fuller. At the same time, the spirit also rounded off any sharp bitterness from the grapefruit. This was a refreshing, yet comfortable, drink; very nice, indeed. A dry yet herbaceous drink the dry cranberry being a good match for the flavours of the juniper. With plenty of ice it is rather refreshing with a floral lift at the end. (b) when looking up the gin on their distributor’s website, I noticed that they also look after a vermouth brand: Totino, who produce the following varieties of vermouth: Rosso, Blanco (white-sweet), Tropical, Cherry and Peach (the last three are, obviously, flavoured vermouths). Noticeably, there’s no dry vermouth in their catalogue, but this is not uncommon for Eastern European brands. This wasn’t a typical Martini, but, as the Blanco is a bit sweeter than usual, the drink is more palatable than if you used a regular dry. 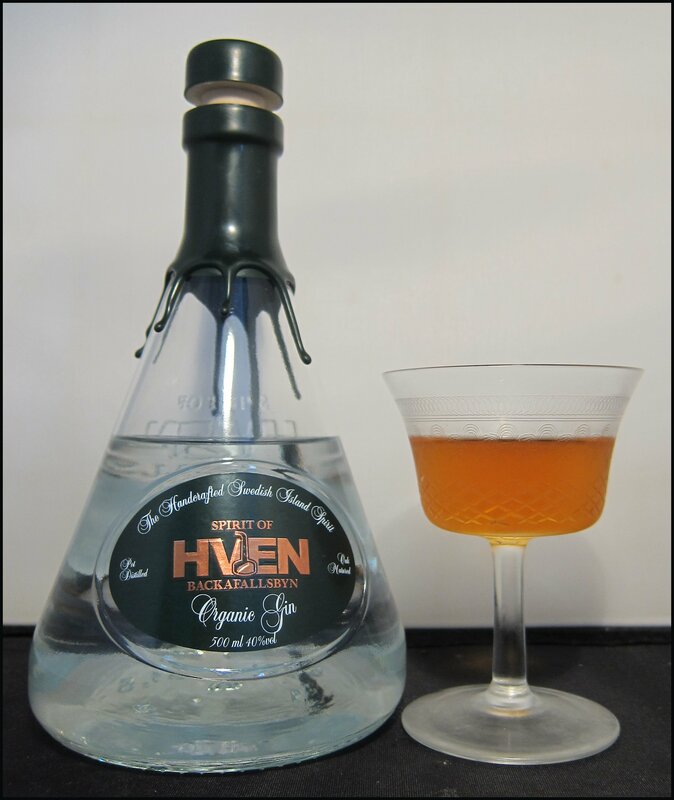 The vermouth brought out more of the gin’s citrus notes, although the bitter herbal and sweet floral notes remain. Once again, I have been impressed by an international gin. Whilst it is not as herbal as some others, such as the Czech Rudolph Jeinek, it is more herbal than your standard London gin. I found that it was best enjoyed simply with mixers, whether that be tonic, grapefruit juice or even cola! Special thanks to Seva for the sample. As I’m sure many of you will know, gin classification is a bit of pet subject for me. Following some recent revelations, I wanted to provide a little update but lets start with the basics. There are three types of gin according to the EU, each defined by different production techniques: Gin, Distilled Gin and London (Dry) Gin. These are set out in EU Regulation: No 110/2008, but below is simplified guide that I wrote a while back. Some gins also have Geographical Iindicative status. This has nothing to do with how they are made or how they are classified in the above three categories, but is rather an extra label given to them, usually as a perseverance of history, tradition or brand. 1) Plymouth – to class as a “Plymouth Gin”, the spirit must be distilled within the old city walls of Plymouth, which amounts to a small area that includes the Barbican and stretches up to Drake Circus. Only one gin qualifies for this at the moment, the one owned by Chivas Brothers, which is made at Blackfriars Distillery. In terms of production technique, it is classed as London Dry Gin, as no extra flavours or colours are added after distillation. 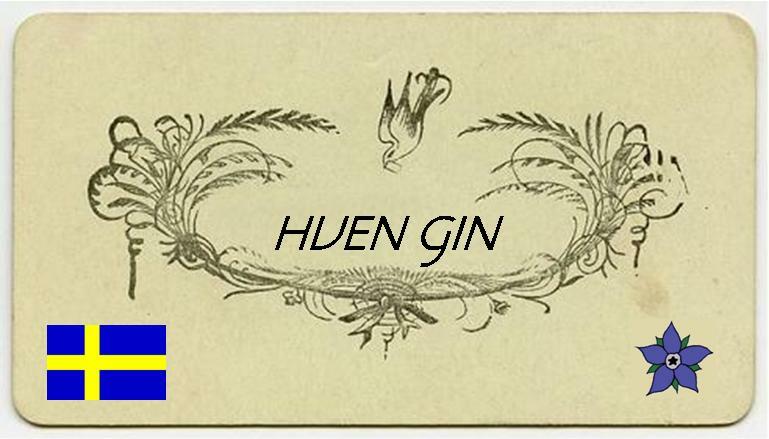 2) Gin de Mahón – this must be ,made in the port of Mahon on the Spanish island of Menorca. The one known brand that currently quaifies is known as Xorigeur and traces it’s history back to the 18th century. Further details can be found here. 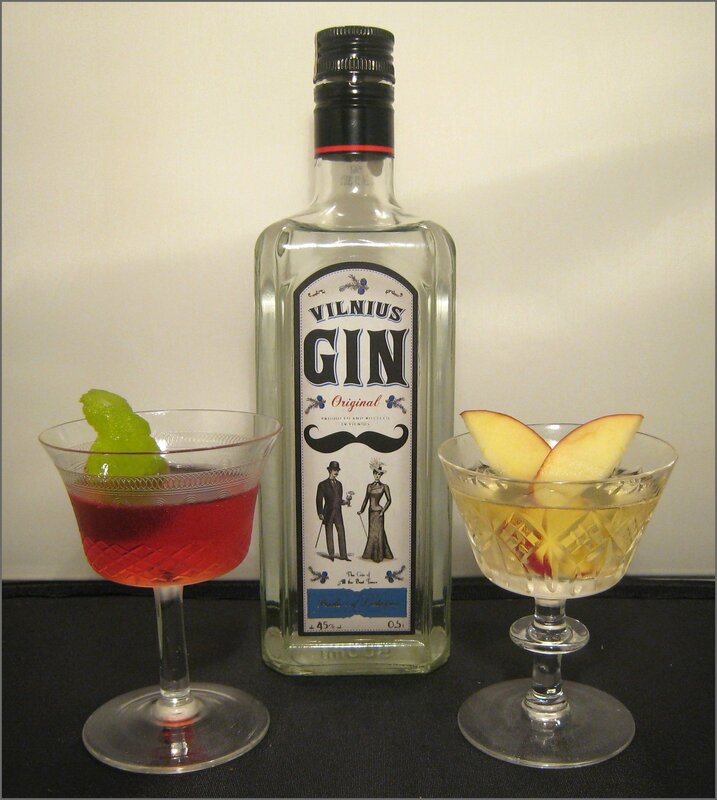 3) Vilnius Gin – this must be made in the city of Vilnius, Lithuania. 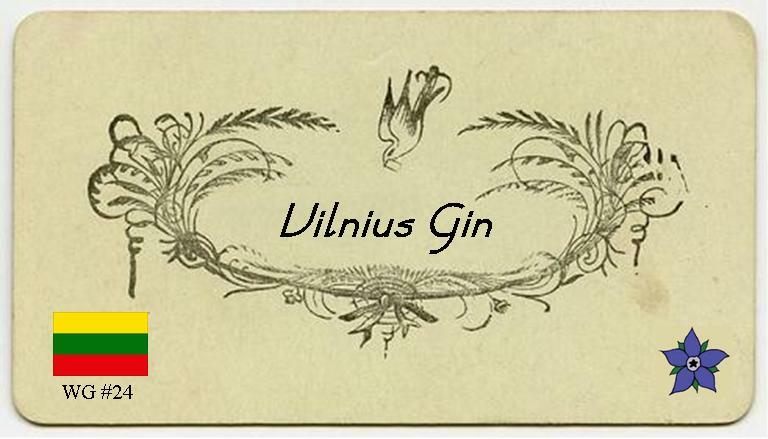 Today, there is only one Vilnius Gin, which has been produced for the last 30 years at the Vilnius Degtiné distillery. 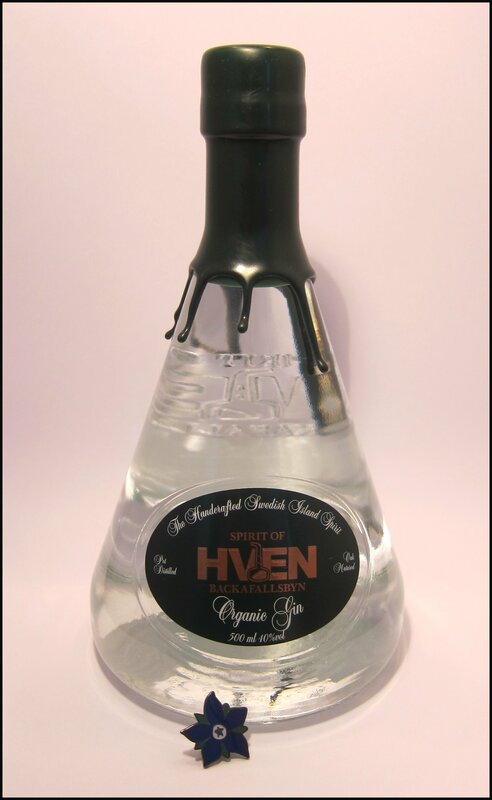 This gin is bottled at 45% ABV and includes botanicals such as Juniper, Dill Seeds, Coriander and Orange. Once distillation is complete, no extra flavours or colours are added and so (as defined above) its production method also qualifies it as London Dry Gin. Nose: Lemon, orange and pine. Taste: This was quite dry, with citrus and some earthy herbal notes, too. It was quite smooth, despite the strength; subtle; and rather classic in terms of style. A very smooth and fresh gin and tonic, not too complex but a enjoyable way to wind-down at the start of the evening, refreshing on a hot day. Tiny hint of anis at the end. Very, clean and pretty dry with a silky texture and a tiny hint of cream and chocolate which add to the satin sensation. Medium to long finish with hint of juniper and citrus, very easy to drink and up there with the best. Smooth and flavourful, with a touch of sweetness and a very crisp, zesty, bitter finish. Clean, well-balanced and altogether rather lovely. This cocktail had a textbook Negroni bitterness with a long, long finish. Quite clean; the herbal sweetness of the vermouth went well with the citrus, pine and earthiness of the gin, making this another clean cocktail with good balance. The gin bottle also includes two recipes for cocktails, but these are given in Lithuanian; I have translated them for you below. You don’t see cherry and gin flavours together very often, but this really did work well. The non-sugary cherry juice, combined with the zestiness of the lime, ensures that the drink has a pleasant crispness. It is the gin, however, that provides the accompanying clean finish. Simple, but delicious. Quite a clean and fresh flavour; although I’m sure many will find this refreshing and easy to drink, I, personally, would prefer a cocktail with a little more character. Special thanks to Irena for all her help with the article. 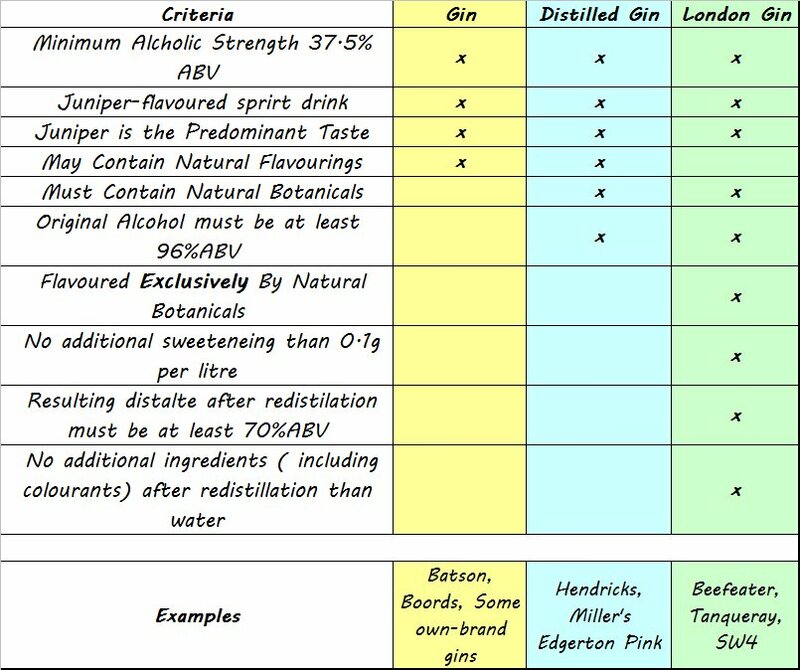 * There has been a move towards identifying gins that are actually distilled in the UK’s Capital City (such as Beefeater, Sipsmith, Sacred or anything made at Thames Distillers); some producers refer to their gin as “Being Distilled In London”, whilst others use the term “London Cut”, but this does not currently have any legal definition. ** In addition to these legal definitions, some describing styles also exist. Although they have a meaning that is generally understood by a relatively wide audience, this understanding is by no means unanimous and controversy surrounds some of them. Examples include: “Old Tom Gin”, “Classic/Old School Gin” and “American Gin/New Western/New World/Modern/Contemporary/New Age/21st Century Gin”. 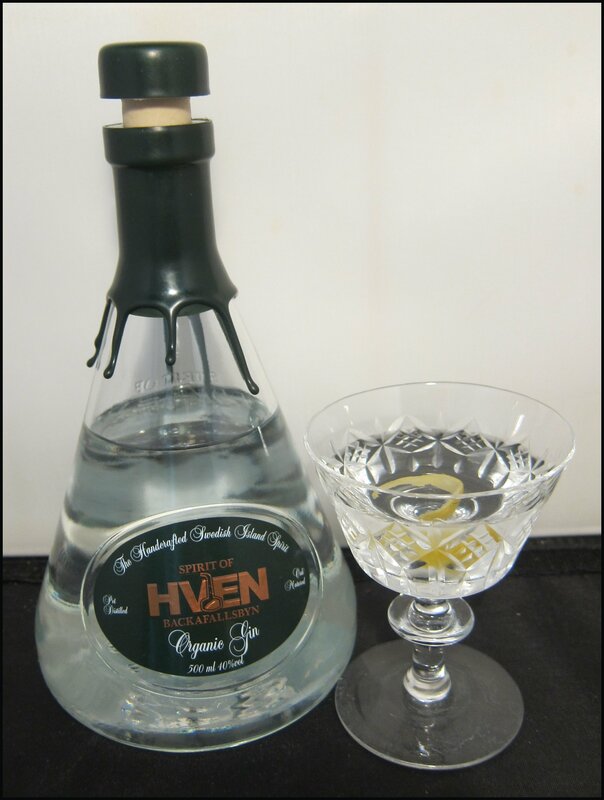 *** Dutch Genever/Jenever/Geniévre, Slovakian Slovenská borovička, German Korngenever, Steinhäger and French Genièvre Flandres Artois are also geographically protected. Recently, I received a gin care package from Germany; inside was a bottle of The Duke Munich Dry Gin and another of Lebensstern. Both are produced at the Freihof Distillery in Austria, near the border of both Switzerland and Germany, and are made for the Einstein Bar in Berlin. The Lebensstern forms the base for the excellent Lebensstern Pink Gin that we featured a few months back and is bottled at 43 %ABV. Nose: Lots of rather fruity, jammy notes, with some sweet juniper, pine, apricot and peach. Taste: Quite smooth, with plenty of juniper and rich, jammy, fruity flavours, including peach, raspberry and apricot. Very good. Really good: refreshing, succulent and very fruity; no garnish is needed at all. The dominant flavours are: raspberry, peach, plum and apricot. Again, this is quite jammy. The juniper is still there, but it’s in the background, making for a very unusual, but nonetheless fantastic G&T! A rather fruity Martini, full of luscious, fresh fruit flavours, reminding me of biting into a ripe peach. 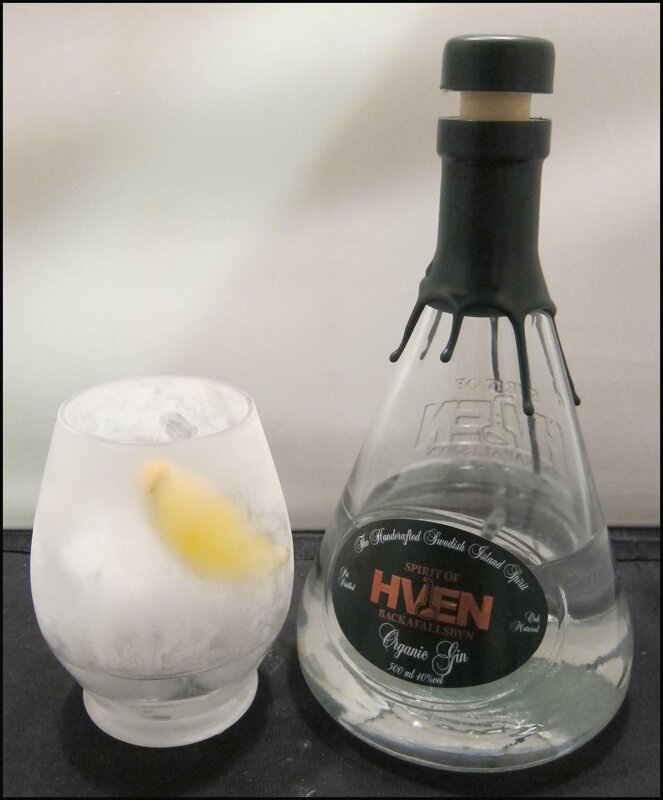 This is well-balanced and not sickly; despite the rich flavours, the drink maintains the cocktail’s signature dry finish. Not a conventional Martini by any means, but a very good one nonetheless. Unusual and full of jammy berry notes mixed with sweet spice, this reminded me of an English winter tart. Once again, this is a step away from the cocktail’s usual profile, but remains an enjoyable drink. Another lovely drink. The tartness from the lemon and the vanilla-sweetness from the Galliano worked well with the fruity gin, creating a well-rounded cocktail. The by now familiar jammy, fruity notes of the Lebensstern worked well with the citrus and sweet, spicy ginger. This is a drink that is both refreshing and comforting. This gin really stands up well to the Campari and makes a lovely Negroni: bittersweet, with an extreme, bitter finish that is rounded off by the rich, succulent fruitiness of the gin. With distinctive notes of peach & plum, this is one of my favourite Negronis. The gin came through well, but, with the extra sugar from the cube, I found this a tad too sweet, tasting more like a gin liqueur. 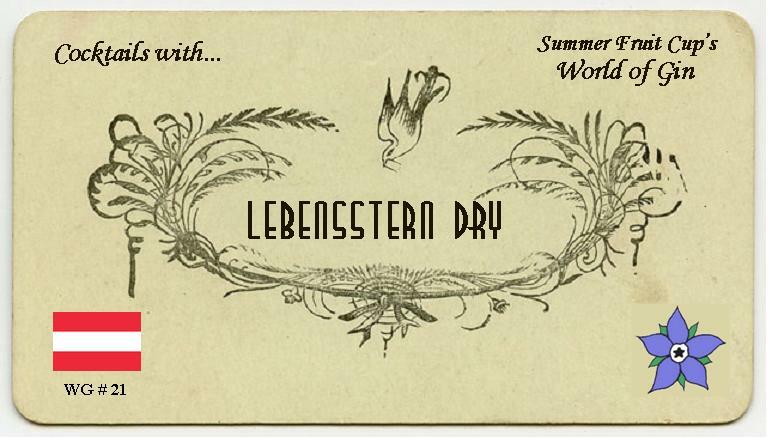 Overall, I was impressed with Lebensstern Dry Gin. 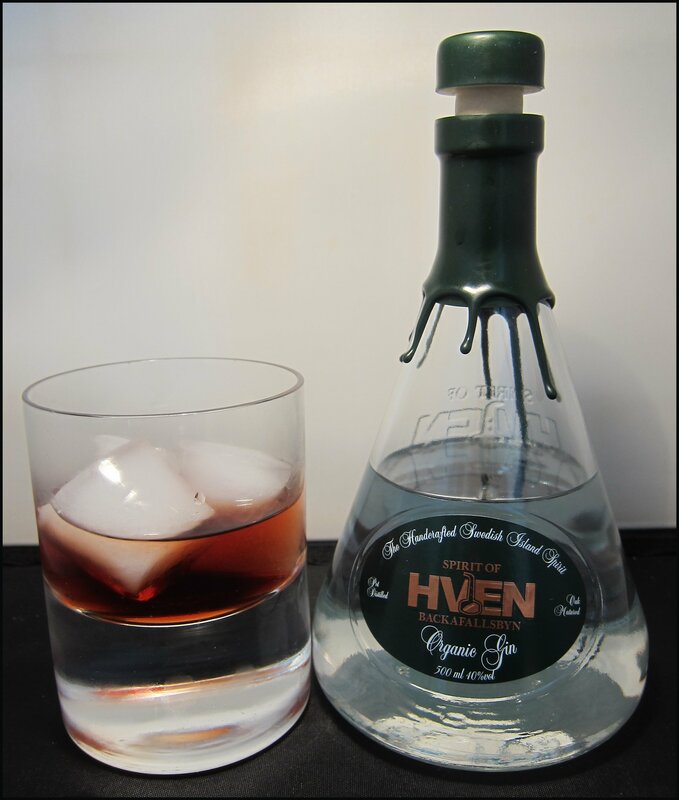 Its rich, fruity and jammy style is distinctive, being almost halfway between dry gin and sloe gin. Not only distinctive, it also gives some fresh and tasty twists on the characteristics of some Classic gin cocktails. Drink highlights included the Negroni and the Gin & Tonic.